A clock in five. 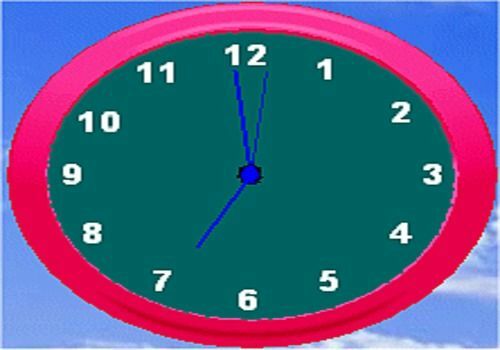 With a click, change the look of this clock. Possibility to set or not the ticking, to ring or not ring : quarter of an hour per quarter of an hour, to set a ringer at a specific time and to shift the displayed time in relation to the computer time. Caculus between two dates, two hours, or two dates and two hours. Caculus between two dates, two hours, or two dates and two hours. An alarm clock at which you can set the cuckoo clock quarter of an hour by quarter of an hour, the ticking clock and, of course, the alarm time.